4. A Summary page will open. a. Fonts: The number of fonts used will be indicated, 1, 2, 3 etc. Each additional item should have a 0 next to it. If not, go to the left window and open fonts. This will show you each font and if there is a problem with it. b. Links and Images: The number of links used will be indicated, 1, 2, 3 etc. Each additional item should have a 0 next to it. If not, go to the left window and open Links and Images. This will show you where there are errors. c. Colors and Inks: If this is a process color job only process inks should be indicated here. If this is a spot (PMS) color job only spot inks should be indicated. Next, for spot color, go to the left window and select colors and inks. Make sure that you have the correct PMS color selected. Make sure you have selected your PMS color as uncoated or coated, not both. If both options are chosen your PMS colors will be interpreted as two different colors and will not match when printed. 5. 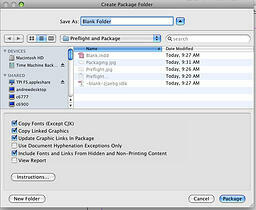 Once your file has been pre-flighted and corrected select Package in the bottom right corner. 6. Printing Instructions will be the next window that you see. 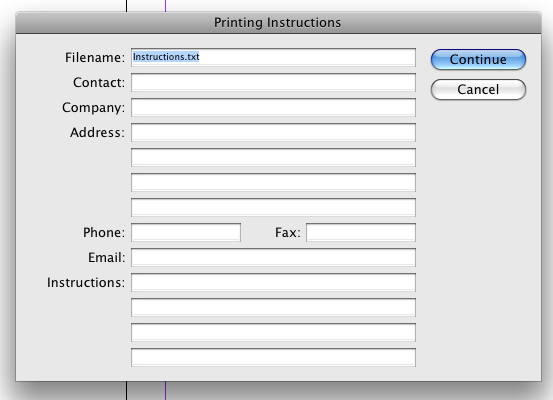 This should be filled out with your contact information and any specific instructions that you may have for your printer. Once complete, select Continue in the upper right corner. 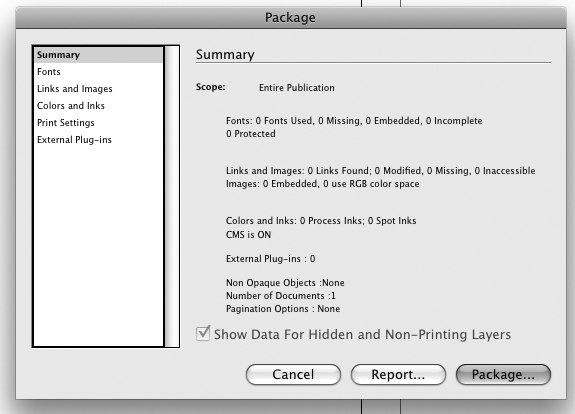 Now, all needed fonts, links, instructions and the InDesign file will be placed in the new folder and your job is ready to send to your print provider. Has this TPI Solutions Ink “how to” been helpful? What tips do you have to offer? Do you have a question that you would like answered in our next “how to” blog? Comments and questions are greatly appreciated.